Your free credit score is here. A better score can help unlock the things you want — a great travel credit card, better interest rates, lower insurance premiums. See your free credit score whenever you like. Checking doesn't hurt your credit. Your information is updated every 7 days. Know when things change with 24/7 access to our free credit monitoring tool. Track your VantageScore® 3.0. Build your credit with personalized tips and a suite of tools. Learn from our expert staff, and trade ideas in our Community forum. NerdWallet lists all your credit factors in one easy place so you never have to wonder where you stand. Plus, helpful ratings and clear explainers make it simple to know where you should focus. Your credit score simulator lets you see how small shifts can mean big point increases. Explore actions like raising the limits on your cards, applying for new credit or extending your streak of on-time payments. Join the millions of people who are already using NerdWallet to improve their finances. We always have your security in mind. Rest easy knowing your data is protected with 128-bit encryption. Learn more. What is my credit score — and why does it matter? Information on how you’ve handled debt in the past is translated into a three-digit score predicting how likely you are to repay a future loan or credit card balance. The higher your score, the better you look to potential creditors. 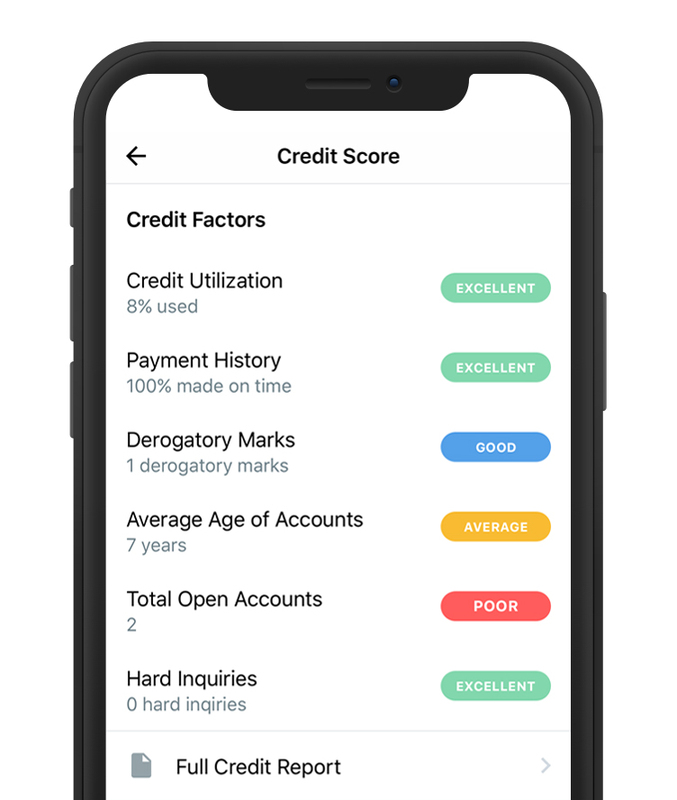 With a low score, you may still be able to get credit, but it will come with higher interest rates or with conditions, such as depositing money to get a secured credit card. You also may have to pay more for car insurance or put down deposits on utilities. Landlords might use your score to decide whether they want you as a tenant. But as you add points to your score, you'll gain access to more credit products — and pay less to use them. Borrowers with scores above 750 or so have many options, including the ability to qualify for 0% financing on cars and credit cards with 0% introductory interest rates. Pay all your bills, not just credit cards, on time. Late payments, a debt collection or a legal judgment against you will hurt your score. Use no more than 30% of your credit limit on any card — and even less, if possible. The best scores go to people using 10% or less of their credit limit. Keep accounts open and active when possible — that gives you a longer payment history and can help your credit utilization. Avoid opening too many new accounts at once; new accounts lower your average account age and each application causes a small ding to your score. We recommend spacing credit applications about 6 months apart. Check your credit reports and dispute any errors you find. What goes into my credit score — and what doesn't? When you or a lender "check your credit," a scoring model from either FICO® or VantageScore® is applied to the current data in one of your credit reports. Your score will vary, depending on which FICO® or VantageScore® version was used and whether it looked at your credit report from Experian®, Equifax® or TransUnion®. It can even vary month to month or day to day as new data get sent to your credit reports. Payment history: your record of on-time payments and any "derogatory" marks, such as missed payments, accounts sent to collections or bankruptcies. Credit utilization: balances you owe and how much of your available credit you're using. Age of credit history: how long you've been borrowing money. Applications: whether you've applied for a lot of credit recently. Type of credit: how many and what kinds of credit accounts you have, such as credit cards, installment debt (such as mortgage and car loans) or a mix. A credit score does not consider your income, savings or job security. That’s why, in addition to your credit score, lenders also may check what you owe, how much you earn and assets you have accumulated. How does NerdWallet get my score? NerdWallet partners with TransUnion® to provide your VantageScore® 3.0, based on information in your TransUnion® credit report. Your score and credit report information is updated weekly. Note that lenders may make their approval decisions using a different credit scoring model or data source. Yes! 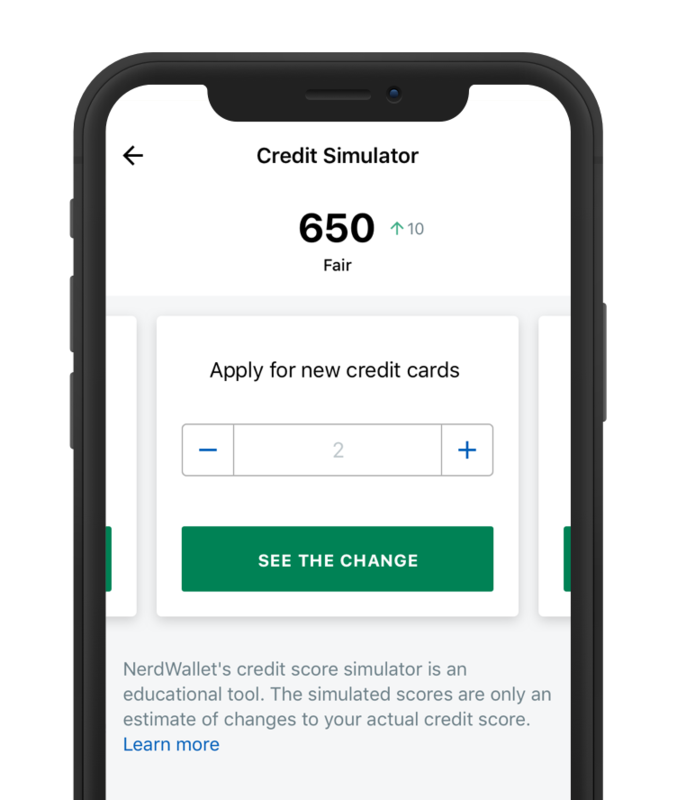 You can sign in to NerdWallet at any time to see your free credit score, your free credit report information and more.